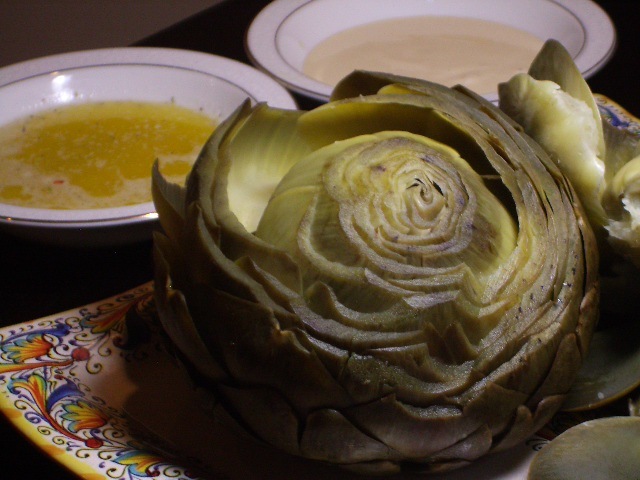 The first time we posted about boiled artichokes, we were (very) new to blogging, (very) new to food-photography, and concerned about getting fat…so we dipped the leaves into olive oil. Bor-ING. This is much more lovely, tasty, and yes, unhealthy. But SO good. ← For and from Emily: Vegetarian goodness. Bah! Butter won’t make you fat! Well, I guess it CAN, but not if you just cook with it and eat it in moderation when appropriate. Dipping artichokes or crab meat into anything other than butter might be a crime. I am intrigued by the mustard-worcestershire idea too. How I love artichokes and this is the time of the year one can find them in this country! (Either the big Breton ones or the very samll ones). My favorite sauce is a simple vinaigrette to which I add as I mix it a good chunk of mayonnaise. Lemon is good too. 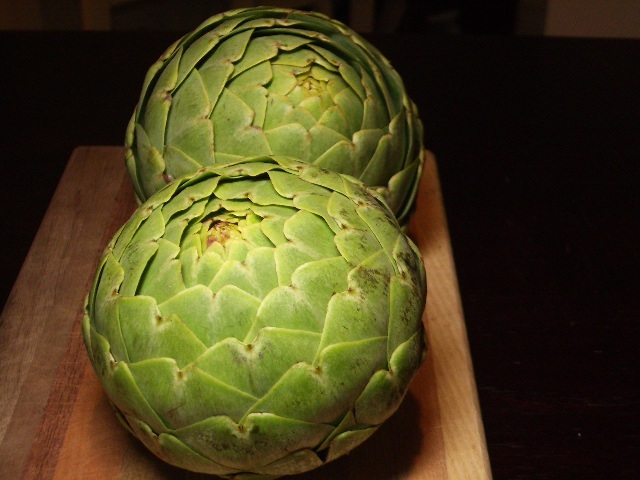 And I usually put a little olive oil on the artichokes before cooking them.